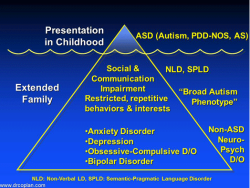 Watch Dr. Coplan Explain the natural history of Autistic Spectrum Disorders. 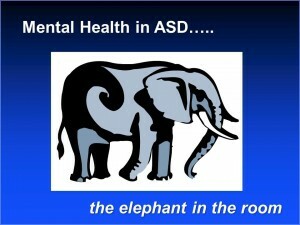 Autism Spectrum Disorder across the lifespan – Including a discussion of Mental Health issues in persons with ASD. In this presentation, Dr. Coplan discusses the predictable changes in symptoms of ASD during childhood, the impact of IQ on long-term outcome, and the relationship between ASD and mental health disorders. This presentation is especially topical in light of the events in Newtown, CT, which had not taken place when this webinar was recorded. This webinar originally aired 11/28/2012. Listen to Dr. Coplan’s webinar of April 4, 2012. 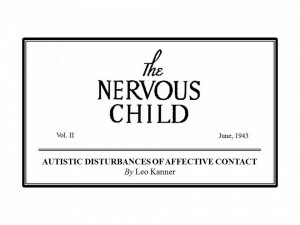 Listen to Dr. Coplan’s interview with Marianne Russo, host of “The Coffee Klatch” on the Special Needs Talk Radio Network. Entitled “Preventing the Next Adam Lanza and Elliot Rodger” the discussion identifies the causes of the tragedies in Newtown, Connecticut and Santa Barbara, California and addresses ways to prevent additional events like these in the future. Hear Dr. Coplan’s interview on Public Radio, covering topics such as the autism “explosion,” causes of ASD, and how to recognize quack therapies. Listen to Dr. Coplan discuss “Mental Health and ASD” and answer specific questions from listeners who called into the National Alliance on Mental Health’s (NAMI’s) Ask the Doctor Teleconference on December 20, 2013. The call was recorded as part of the Ask the Doctor Series hosted by Medical Director, Dr. Ken Duckworth. Click here to listen to the teleconference.